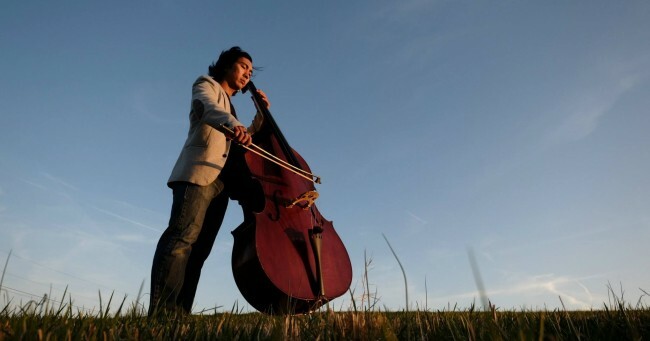 For musicians, Summers are not just a time to practice. For many it’s a time to do additional performances, perform for other professional musicians on masterclasses, participate in various festivals to hone their craft, or attend conventions related to their areas. 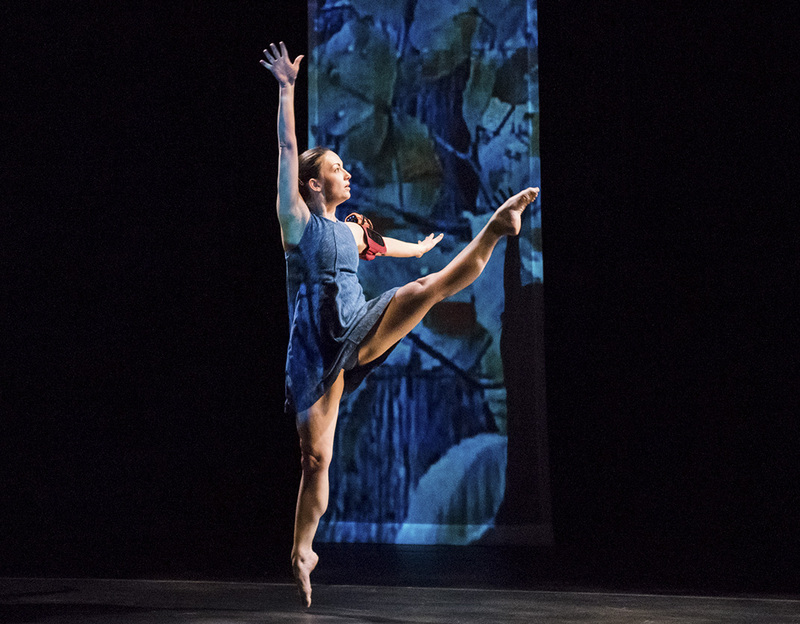 This Summer our students and faculty have been extraordinarily busy performing, teaching, and studying! Below are stories about what our department has been doing all summer! Piano faculty Dr. Audrey Andrist, is the official pianist for the Brian Lewis Young Artist Program in Ottawa, Kansas. The program is a summer institute devoted to providing free masterclasses and lessons to highly gifted violinists under the age of 18 years old. The festival annually runs for 2 weeks during the month of June. Pictured here is Dr. Andrist with John Heo, one of the students she worked with over the summer. Dr. Lisa Cella, flute faculty, taught and performed at the Nief-Norf Summer Festival and at Soundscape Festival. She finished two recording projects, the flute works of Daniele Venturi and a piece to go on a Soundscape Faculty CD by Ricardo Zohn-Muldoon. In addition, she presented theNational Flute Convention about her proposal for curating “The Changing Face of Virtuosity in Contemporary Times” accepted in its entirety and performed two pieces on this program. Senior voice performance major, Dana Pirzchalski New England Conservatory’s Summer Opera Studio in Boston, MA run by Daniel Wyneken and Janice Giampa. The program is a 3 week intensive encompassing multiple standard operas with participants from around the country. Dana performed 2 scenes at the program: Natalia Petrovna (role of Hoiby) and the Saint Of Bleecker Street (role of Menotti). 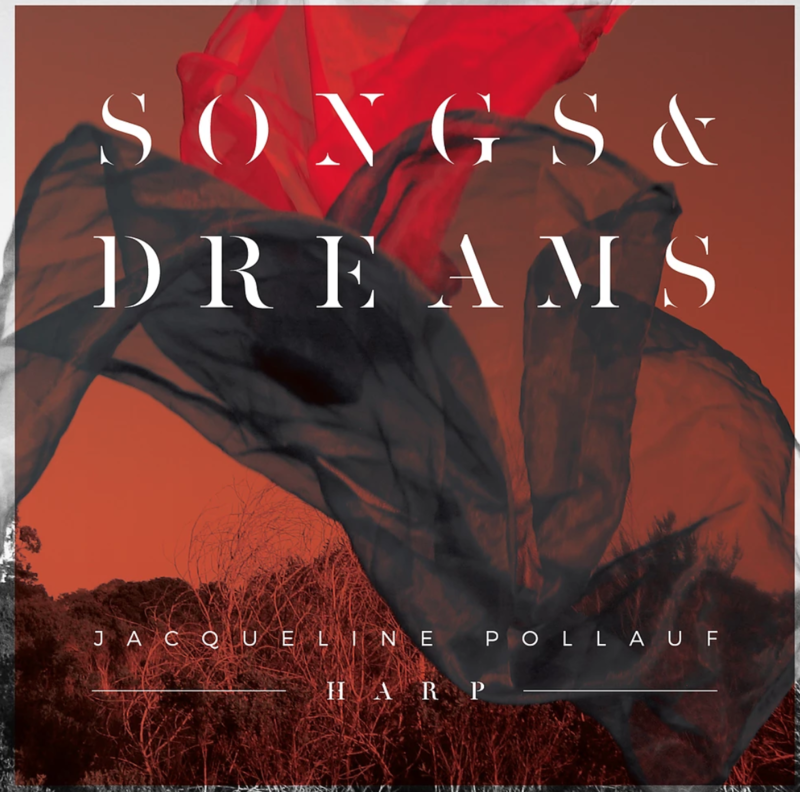 Harp faculty Jacqueline Pollauf has had a busy summer encompassing multiple facets of music making and study. 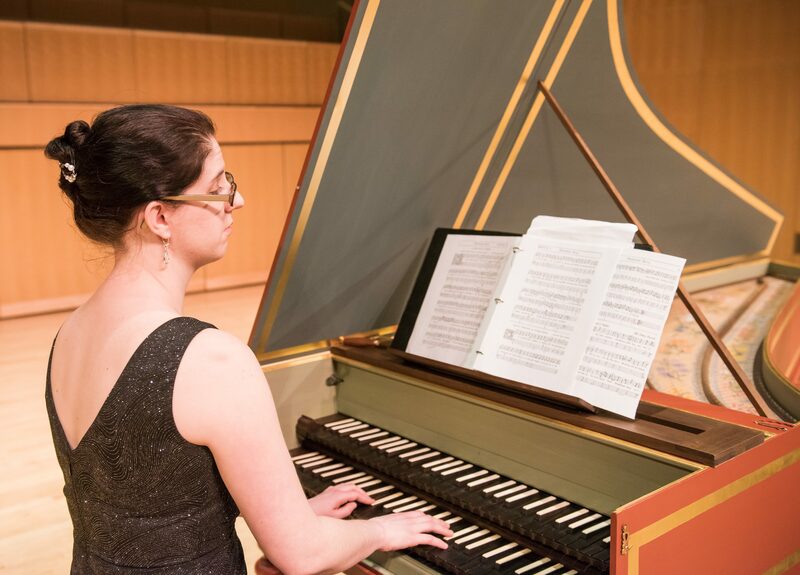 In June, she performed with Trio Sirènes on the Baltimore Symphony Orchestra’s Chamber Music by Candlelight Series at the Second Presbyterian Church in Baltimore. Ms. Pollauf was also on faculty at the Blue Lake Fine Arts Camp, where she taught high school aged students and performed with the members of the faculty. In addition to teaching at Blue Lake, she also taught at the Baltimore Harp Camp, of which she is the sole founder and director. Her camp was featured in the Baltimore Sun in July. Ms. Pollauf will be ending her summer by beginning an artist residency program at the Hereford Branch of the Baltimore County Public Library where she will be practicing, performing, and composing during the month of September. Sarah Van Waes is a cello performance major and over the summer she studied with cello faculty Gita Ladd at the Endless Mountain Music Festivalin Pennsylvania. The program encompassed daily chamber music coachings and festival orchestra rehearsals including repertoire by Shostakovich, Dvorak, Piazzolla, and other. The most challenging performance she did in her time was the performance of Shostakovich Symphony No. 5. Not only was that piece difficult to play, but they ended up having to play it in the dark because the power at the theater went out 20 minutes before performance and only came back (miraculously) when the piece moves from minor to major at the end. Voice faculty, Lisa Dodson, recently performed as Lily along side her so Colin in The Secret Garden with The Other Voices Theatre in Frederick, MD. The production ran for two weeks in August and a review of the production can be read here. Over the Summer, drumset professor Scott Tiemann ran a woodworking workshop for teenagers between 13-18 years olds. One of the projects included creating a 10 note bass tongue drum and mallets tuned with a minor pentatonic scale. To the right is one of the completed projects. 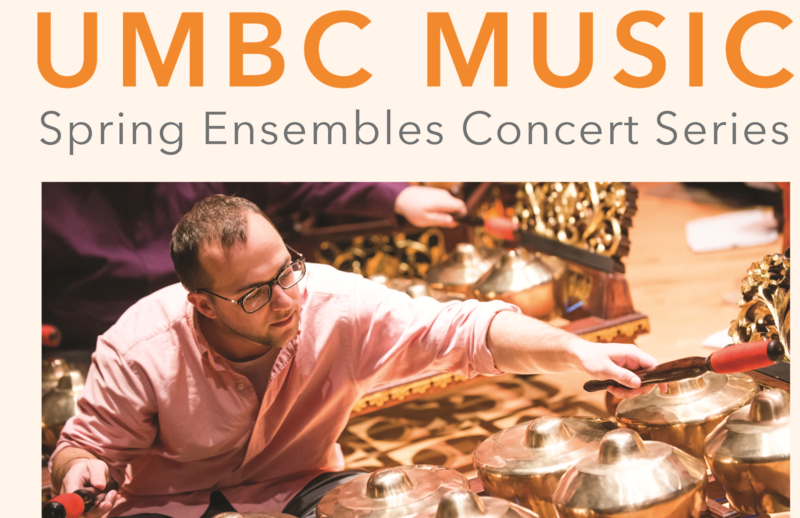 This summer, Michael attended Festival Baltimore here at UMBC. During the two week festival, they studied, rehearsed, and received coachings from incredible professional musicians in preparation for a performance of the complete Brahms piano quartets. In addition to the fantastic performing experience, they attended concerts by the faculty featuring complete works by select composers. 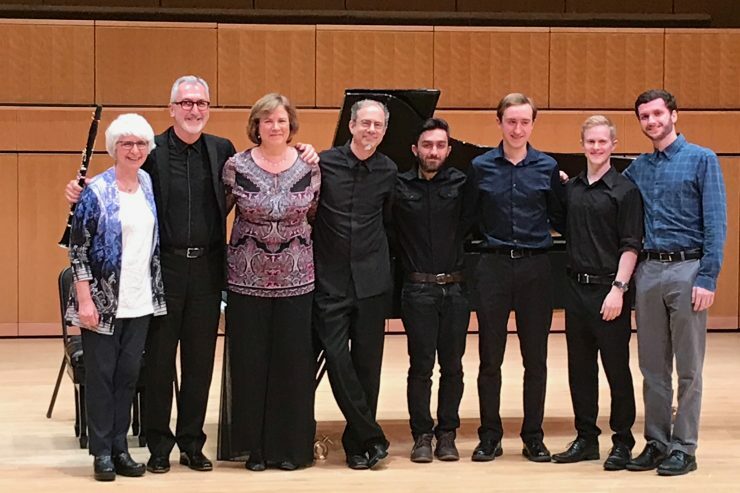 Michael described the festival as an invaluable experience demonstrating tremendous artistry and musicianship at each performance, and he said the insight and knowledge he received during lessons and coachings made Festival Baltimore a phenomenal experience to look forward to next summer! This July saw the inauguration of the Summer Guitar Academy, in collaboration with the Music Department and the Office of Summer Enrichment Experiences. Directed by Jonathan Zwi, with help from his assistant Morgan Dice, students of all levels and abilities attended a one-week intensive course where they engaged in a variety of topics and styles. Through daily private lessons, ensemble rehearsals and group classes, the students learned about positioning, technique, tone, sight reading, music theory, fretboard harmony, arranging, songwriting and instrument building. In addition to the use of sand, Jonathan incorporated mud, clay and cement in his work in order to allude to the humble mud-brick houses that can still be found in these rural areas of the country. These works – which are not only visually textured but also tactile in their nature – serve as a metaphor for the simplicity and humility that underlies the daily experience of so much of the local population. Despite the persistence of what might be labeled as the area’s ‘underdeveloped existence,’ Jonathan did not create these works to serve as a moral or political statement. Instead, he sees these paintings as a poetic reference to the individuals who – with hope and humility – continue to find beauty and dignity in the simplicity of their lives.